Humans are homeothermic mammals, which means that a stable internal temperature (the body core) is maintained regardless of fluctuations in external temperature. This evolutionary step was an advantage to animals which relied on external heat sources to warm up, e.g. reptiles. However, a constant body core temperature necessitates adequate heat production and thus may lead to high energy demands. 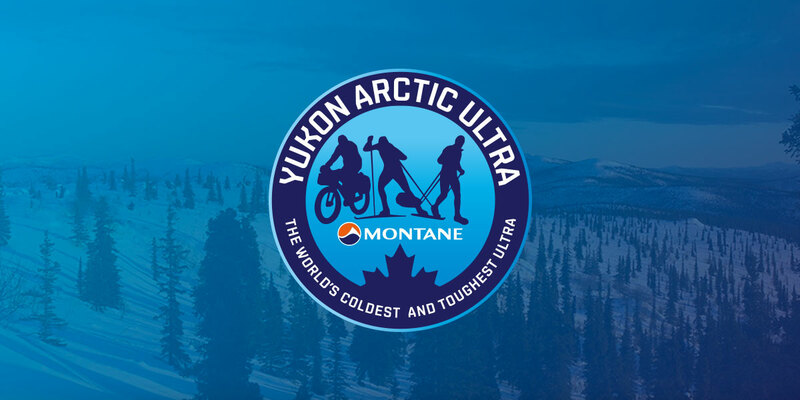 Exposure to environments, such as the deep cold of this year’s Montane Yukon Arctic Ultra (MYAU) with temperatures as low as -40°C or °F (and even lower), present a very enormous physiological challenge to the organism, as the maintenance of a stable internal temperature may become increasingly difficult during exposure to cold ambient temperatures without proper counter-measures. As the MYAU participants exercise continuously along the trail, a great amount of heat is being produced this way. It should be noted that only about 20 to 30 per cent of the internal energy can be transformed into mechanical work – hence walking, hiking, bicycling etc. This “inefficiency” is an obvious advantage during the MYAU as the released heat supports the body to maintain its body-core-temperature of around 37°C (98°F). At the same time of course the participant’s energy demand increases manifold – due to the exercise itself and in order to maintain body-core-temperature in the deep-cold environment. The energy demands may even exceed the energy supply through food intake, which eventually leads to loss in body mass. That is why studying the changes in body mass, body composition, energy expenditure as well as hormones associated with energy metabolism are of such great interest regarding the MYAU. Problems regarding thermoregulation during events such as the MYAU can arise when more heat is lost as it is being produced, the risk for which increases of course the lower the ambient temperatures become. The time-frame for tolerances become much smaller when the temperatures approach -40 or even -50 and below. Even more so when a participant has over-exerted himself and has sweat through several layers of clothing. Wrong decisions, such as taking of a glove at the wrong time, may quickly lead to frostbite – local hypothermia to the degree of frozen tissue that starts at the fingers, toes and nose which may result in the loss of these body parts when they become necrotic – as well as general hypothermia where the body core temperature decreases leading to heavy shivering (as a countermeasure to produce heat), confusion and irrational behavior, and finally decreased respiration, blood pressure and eventually fatal heart failure. Even when a hypothermic person has been rescued, arrhythmic events of the heart may still occur as an electrolyte-dysbalance might develop due to blood and lyphatic fluid flowing back from re-heated body parts towards the center of the body. So great care has to be taken when handling such a patient.